Please book your fitting by selecting one of the following options. To ensure that each dancer receives the appropriate amount of time for their fitting, there are several different appointment lengths. Please use the descriptions as a guideline and trust that regardless of what is scheduled, Alena will never rush a student out- please don’t fret about this! Please don’t hesitate to call or email with any concerns or questions about appointment type selection. If you would like extra time, please call and we will accommodate you! This fitting is for a student who has never been on pointe before and has just been approved by their teacher/studio director to come and buy their first pair! Extra time is scheduled in this fitting for the information we provide the student and parents about proper foot & toe care inside the shoe, storage of pointe shoes, sewing overview (for those who are directed by their teachers) or step-by-step sewing instruction for those who are instructed to complete at home, as well as allowing for time to answer any questions. First-time fits generally are the longest fit a dancer will have, but it is essential to not rush the process. Please allow for 60 mins. Generally, we do tend to run approximately 45 mins though! 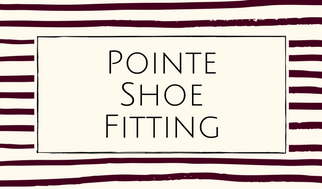 This fitting is designed to provide adequate time for the student to share their experiences with current and previous shoes, likes & dislikes, any challenges they are facing, and requests for their fitting. This fitting is for a more advanced dancer who is here to see Alena because they are seeking a different shoe, more refined fit, performance weight shoes, or has been referred in from a friend or studio owner/teacher. Please bring old shoes with you– several pairs will show more of the story and shape that shoes make on your foot, so please pack the bag! Also, make sure to bring all the padding and other accessories that you use. This fitting is available to customers who have been fit by Alena before. Either shoes have become too small, are nearing the “dead” zone, or student has decided to try something else in their “pointe shoe journey”. Please bring current pair of pointe shoes, toe pads, and thoughts on what you liked/disliked about the shoes. If your teacher had any feedback, please have him/her write it down any comments and bring notes to the fitting. Please note in the “Pertinent Info” section what shoes you have been wearing. Not sure? Email a picture of the bottom of the shoe to info@dancethisway.com with “your name: pointe shoe booking” in the subject line. This student has been established to be in a well-fitted shoe by Alena. They are booking an appointment just to replace the same shoes (same style, size, and width). Shoes just need to be tried on, molded/bumped out/customized for student, and then we’ll stamp the loyalty card and get this customer on their way! *Please let us know if you are intending to buy multiple pairs for rotation at the time of your appointment. This way I can ensure we have them in stock upon your arrival! 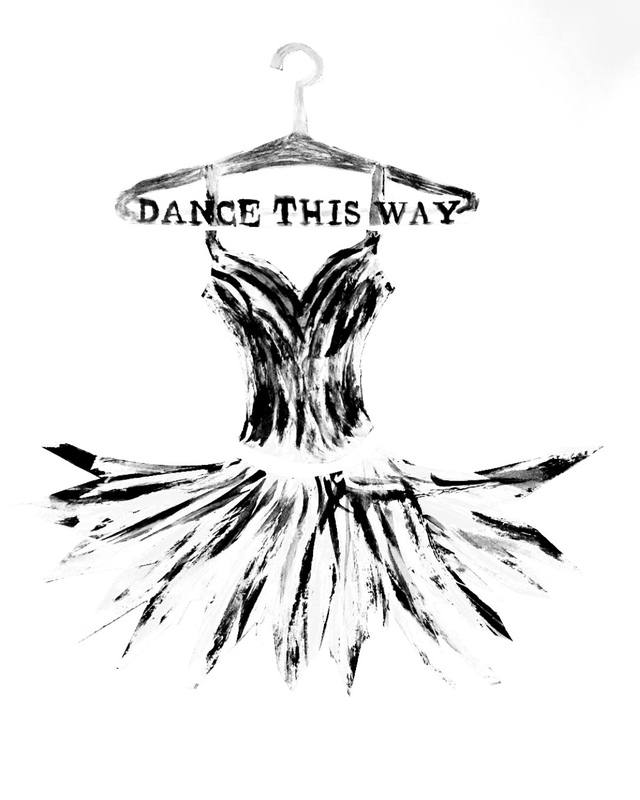 Email at info@dancethisway.com or text Alena 508-423-7196 with this info! Cobbling Services- Tacking, Arch Support Insertion, Restringing Drawstring (elastic drawstring to replace cotton original), Gluing or Shellac Box Harding Treatment, Etc. **ONLY available to customers who have purchased pointe shoes at DTW. **Please note that this appt is appropriate for the dancer that has been fit by Alena already and has either bought multiple pairs at once from DTW that were not all customized at the time OR has started to feel like their shoe is breaking down and needs reinforcement. PLEASE NOTE: customization is best done BEFORE the shoe is broken in, but this appt is available to help salvage the life in shoes if a dancer feels they need it. *Each customization fee is minimal (and reasonable! ), which covers cost of goods used. Alena does not charge for her time on this appointment as a courtesy to her customers. Thank you for booking a fitting with us!